Ingest the data directly into Tableau and try to manipulate it there. While both tools are excellent choices for their intended use cases, a large enough load would cause Excel to fall down pretty quickly and would similarly become unmanageable to consume directly into a visualization tool like Tableau. 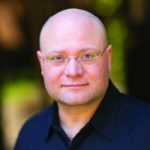 It isn’t scalable to try to ingest this volume of data into a relational database as an intermediary step, either – especially if your data schema isn’t fixed. 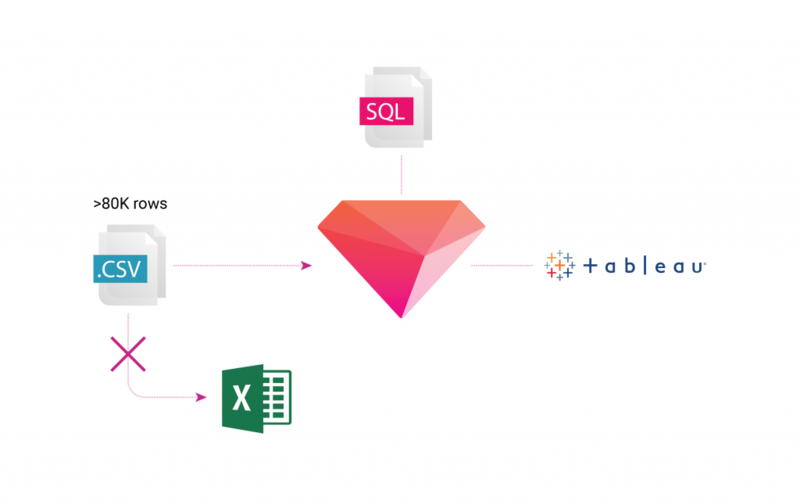 That’s why you need a system like Treasure Data that scales automatically for you and provides SQL schema-on–read access with schema flexibility and direct connectivity to Tableau. Let’s look at how to do this. Note: These instructions assume that you’ve already set up td toolbelt and have a Treasure Data account. You’ll need somewhere to ingest the data. Create a database and a table on Treasure Data. That’s a lot of records to try to visualize (2832 to be exact!) so let’s get the top 20 NASDAQ symbols by volume from our dataset. Now that we have that bit working, let’s export our result to a datasource in Tableau. To do this, we’ll fill in the Result Export dialog for Tableau Server. NOTE: you’ll need a Tableau Server Online account for this step. For my purposes, I’m using SSL, and Requiring a valid SSL certificate. ‘Datasource’ in this case refers to the one Tableau gets the data from. I’m calling mine ‘nasdaq_demo_john’; for demos, I nearly always use ‘replace’ mode. After we log into Tableau Server, we’ll go to home -> data sources and filter for our ‘nasdaq_demo_john’ data source, which we’ll select. Want to get the best out of your data analytics infrastructure with the minimum of expense, hassle, and configuration? Then try out Treasure Data.